I originally allocated 30 GB for use as a Windows 7 virtual drive using Oracle's VirtualBox software. I then installed the baseline software: Comodo Anti-Virus, Firefox, and various Windows updates (read: hours of time wasted while watching "Please wait while Windows installs 1 of 238248 updates", etc.). At any rate, rather than getting all spun-up over Windows (did I tell you about Xubuntu yet? 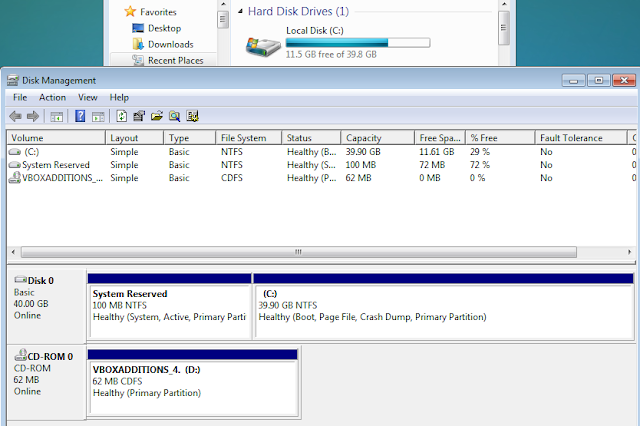 ), I researched how to make the C: drive bigger in my virtual machine. 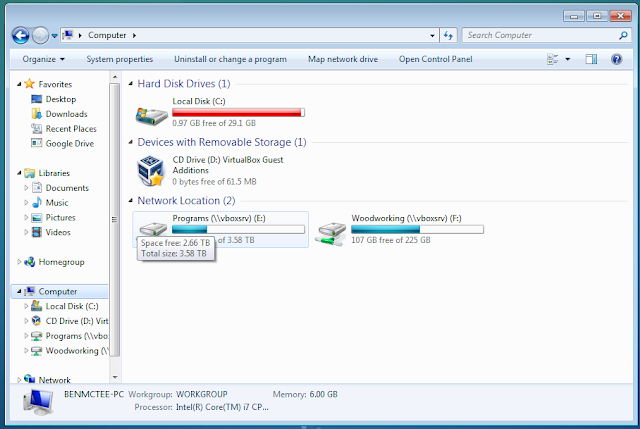 I quickly came up with this post: How to resize a virtual drive, which, turns out, is exactly what I intended to do. I found out that file resizing does not work if snapshots had been taken (forgot to read inside the parenthesis about prior to 4.3...), so I went into VirtualBox and created a clone with no snapshots of the current state. So here, just right click the (C:) > Extend Volume. 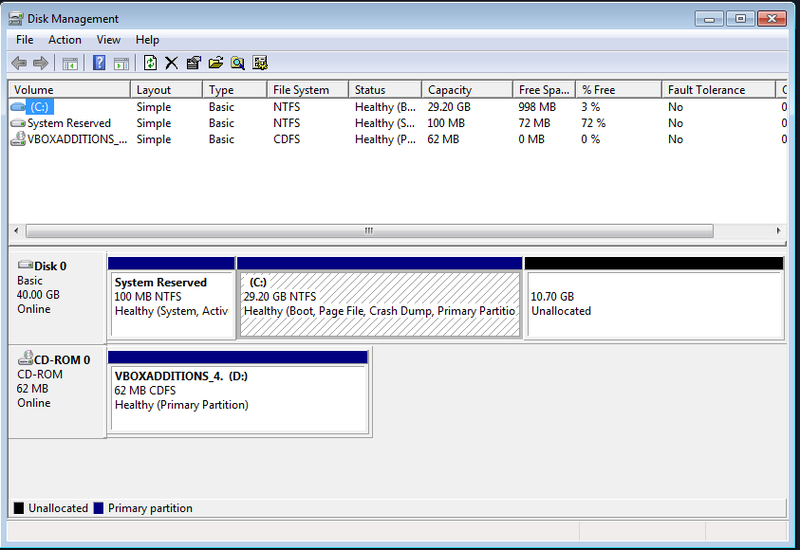 Follow the menus to extend it out into the unallocated space, and then voila! Like I said previously, I created a clone to work with, so I wasn't messing around with the original installation. 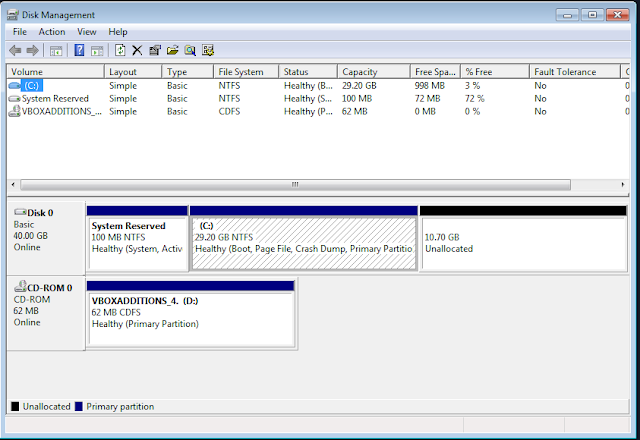 If you are doing this on your working install, make sure you create a backup prior to attempting to resize the drive, as something could possibly get messed up. Also, since I'm running 4.3, I could have possibly done this procedure on the existing snapshot, but creating the clone meant that I could follow the original tutorial and also have a backup to work with. If you have any comments, feel free to leave them below.